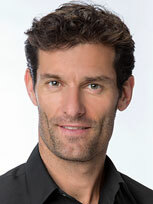 Australian professional racing driver Mark Webber is arguably one of motorsports most popular and high profile stars. Nine times Grand Prix winner Mark Webber’s fairytale journey from Queanbeyan kid to world-class athlete is an enthralling and entertaining story full of inspiration and amusing anecdotes. 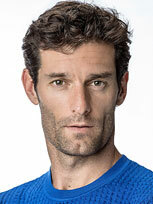 Mark retired from Formula 1 in 2013, currently competing in the FIA World Endurance Championship for Porsche. After a successful run in karting and Formula Ford in his native Australia, Mark knew that if he wanted to realise his dream of F1 he had to leave his home soil and move to the UK. He competed in British Formula Ford, Formula 3, Sportscars and then Formula 3000 where his good results and pace landed him an F1 test drive with Benetton. Mark made his F1 debut with Minardi, which was owned by fellow Australian Paul Stoddart, in 2002, where in a race full of attrition he managed to hang on in there and grabbed fifth place at the flag scoring the team’s first points in three years. His ability to push a car beyond its limits opened the door for him to sign with the newly rejuvenated Jaguar Racing team and subsequently WilliamsF1. After moving to Red Bull Racing in 2007, Mark took his first F1 win in the 2009 German Grand Prix, which he described as the proudest moment of his career. Throughout his 12 years in F1, Mark achieved nine wins, 42 podiums, 13 pole positions, 19 fastest laps and also helped Red Bull Racing to four consecutive Constructors’ World Championships. At the end of 2013 Mark hung up his F1 boots and after a 15 year hiatus, rejoined sports car racing as part of Porsche’s return to the LMP1 class of the FIA World Endurance Championship in 2014. In his début WEC race with Porsche, Mark and his teammates finished third at Silverstone. Two months later at the prestigious Le Mans 24-hour race, Mark’s #20 919 Hybrid car was in the lead and challenging for the win against long-standing contenders Audi and Toyota, before having to retire due to a power train problem. During Mark’s 2015 season with Porsche, they achieved a 1-2 finish at the 24-hour Le Mans race. Mark now shares his story with audiences as an after dinner and motivational speaker. Mark’s preference is for interview or Q&A style hosted by experienced presenter Pete Morris. This provides not only a fascinating insight but also the discovery of the real man behind the wheel with serious messages and some very entertaining anecdotes.